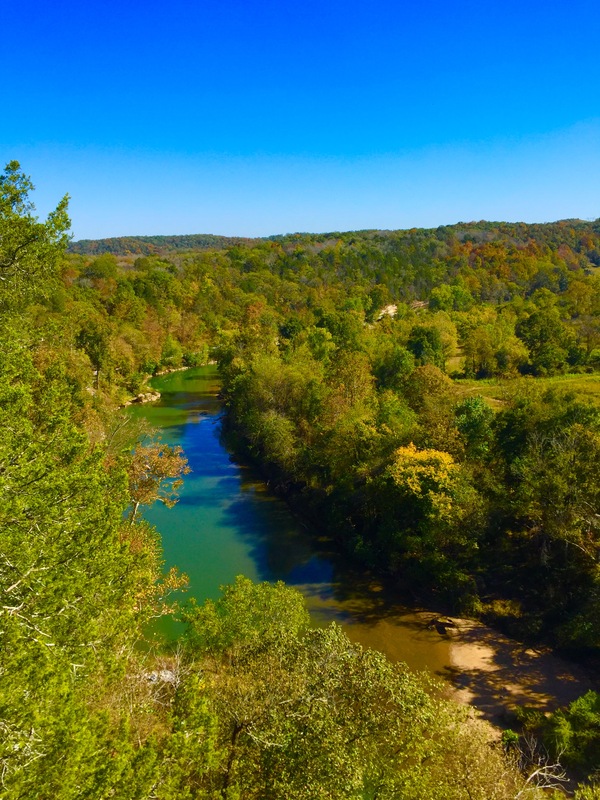 Harpeth River State Park is located about 30 minutes west of Nashville, Tennessee. 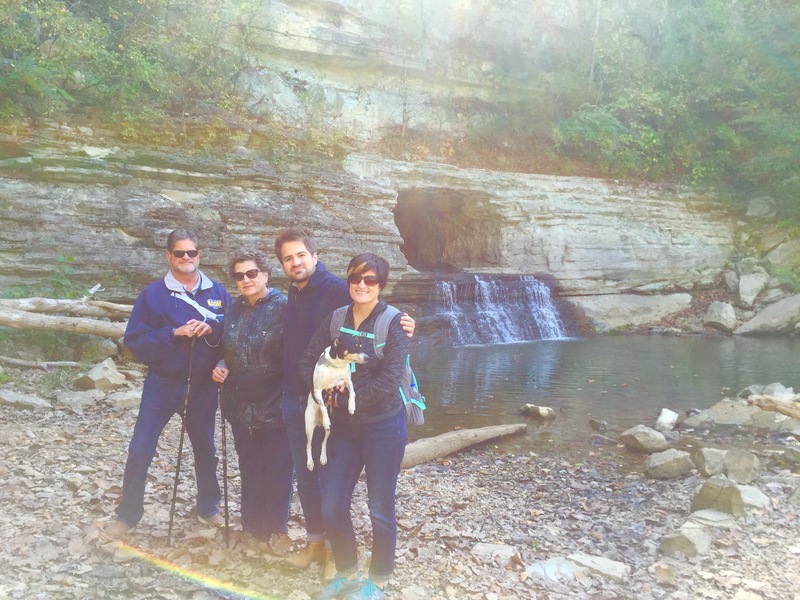 While visiting my brother who lives in Nashville, we decided to get out and enjoy the fall weather. 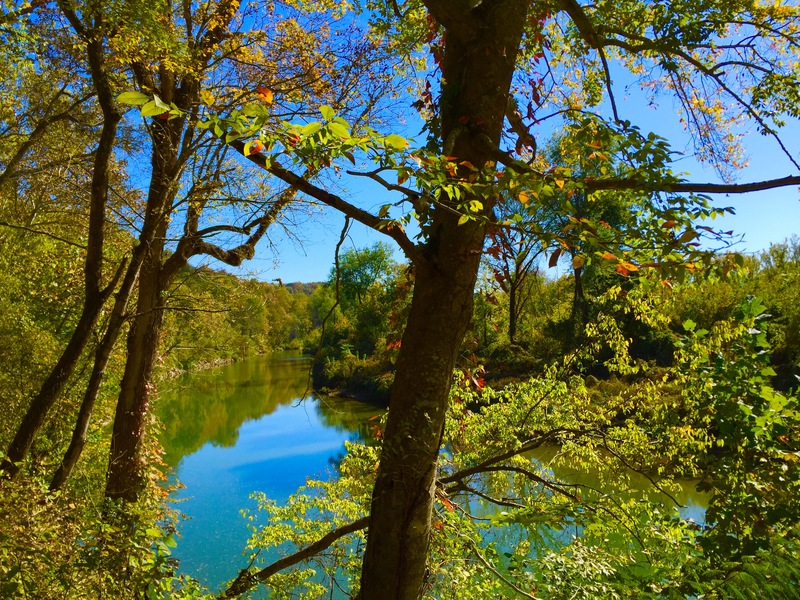 Harpeth River State Park was created to connect several historic sites along the river. 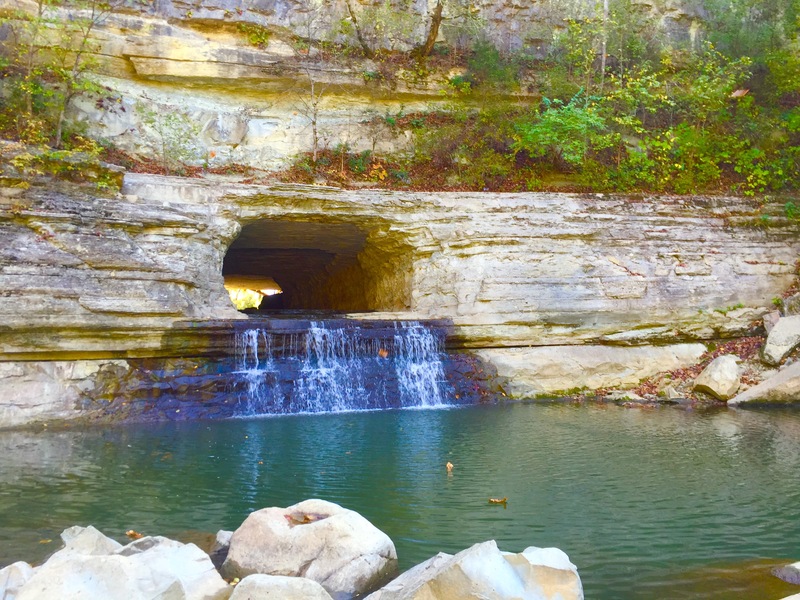 The most notable feature of this park is the historic tunnel at a bend in the river call the Narrows of the Harpeth. 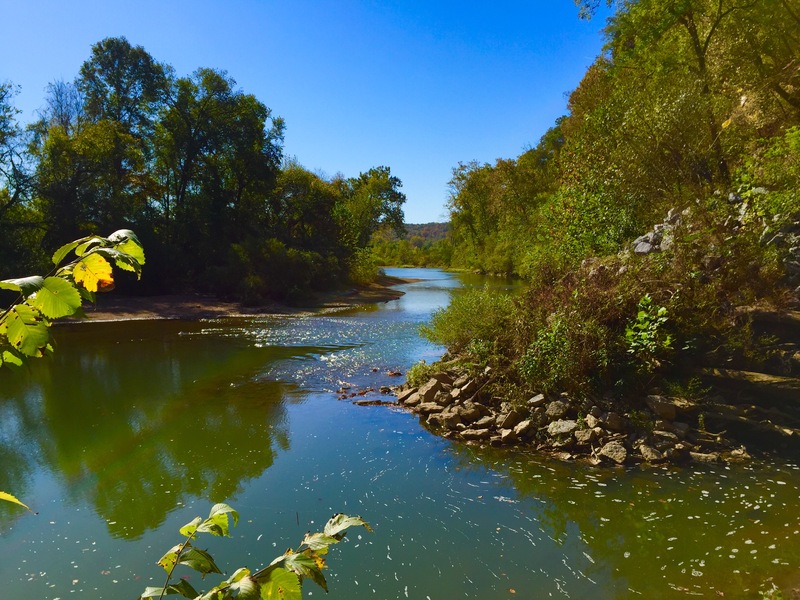 At this point, the river makes a large bend and returns within 200 feet of itself. The drive to the Narrows is beautiful and signed very well. 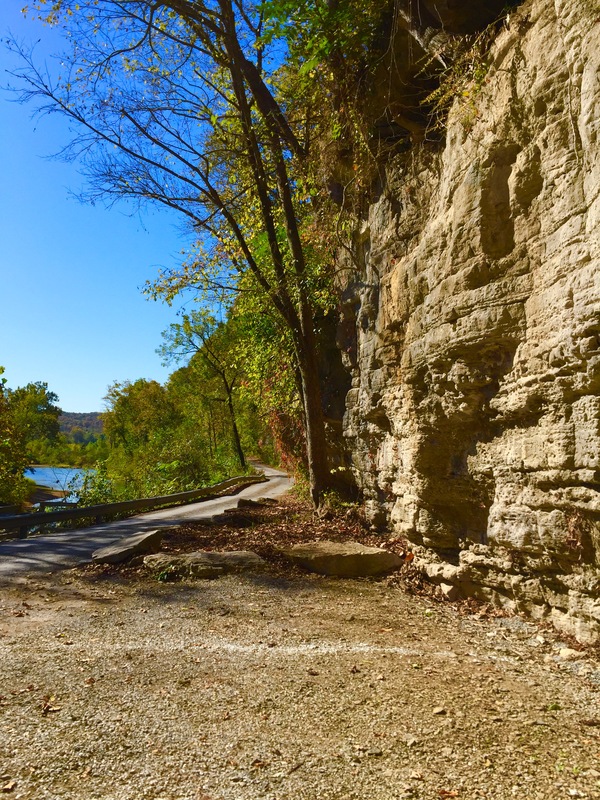 There is a decent size parking lot right underneath a towering limestone bluff. Before setting off on any hikes, there is a set of stairs to the right of the informational kiosk. From this vantage point, you can see one side of the historic Montgomery Bell Tunnel. As you peer through the huge hole, you can see the light filtering in from the other side of the tunnel. All trails in this area start out just up the road from the entrance to the park just after the “Do Not Enter” sign. 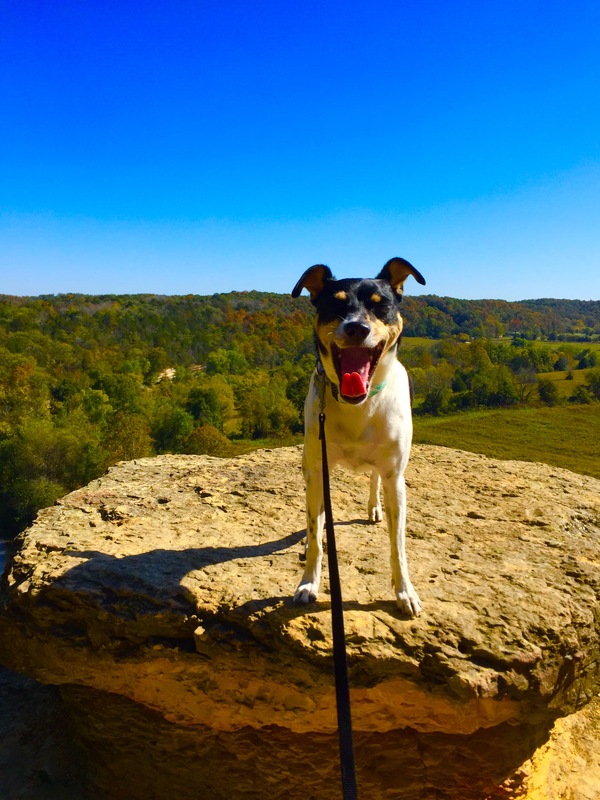 We first hiked the overlook trail which is about a third of a mile long. 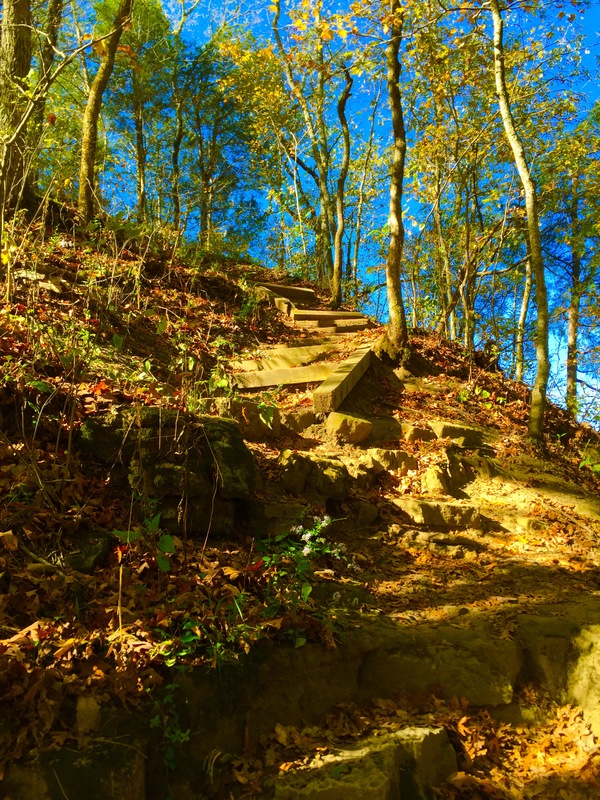 The trail starts out steep and rocky, climbing to the top of the bluff. 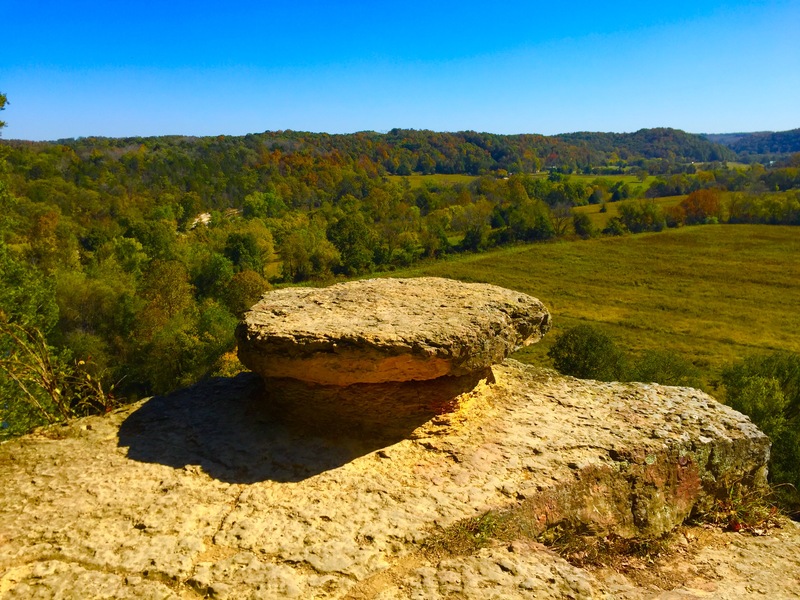 The trail steadily climbs upward, rewarding you with scenic views the whole way. 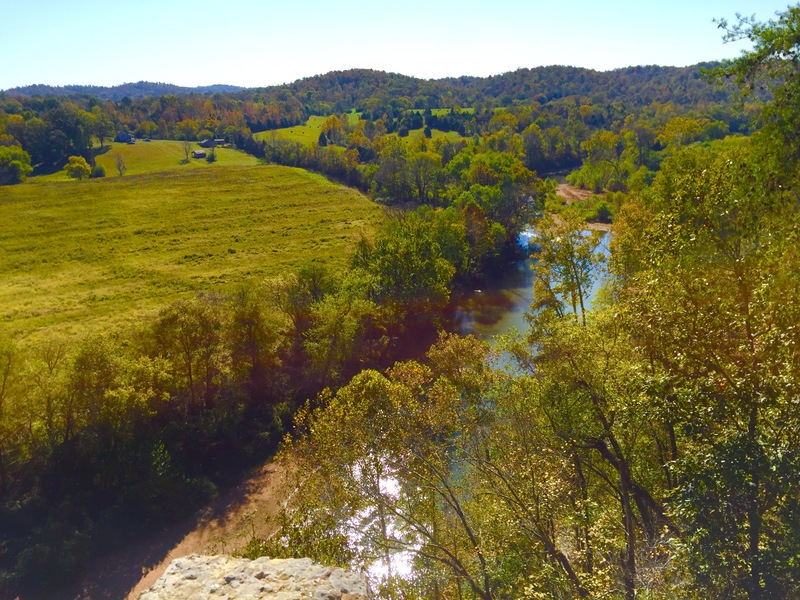 The Harpeth River glimmers in the sunshine below as the rolling landscape of Tennessee stretches into the distance. We then hiked the short trail to the other side of the tunnel. This is the site where in approximately 1818, Montgomery Bell built his Pattison Forge. 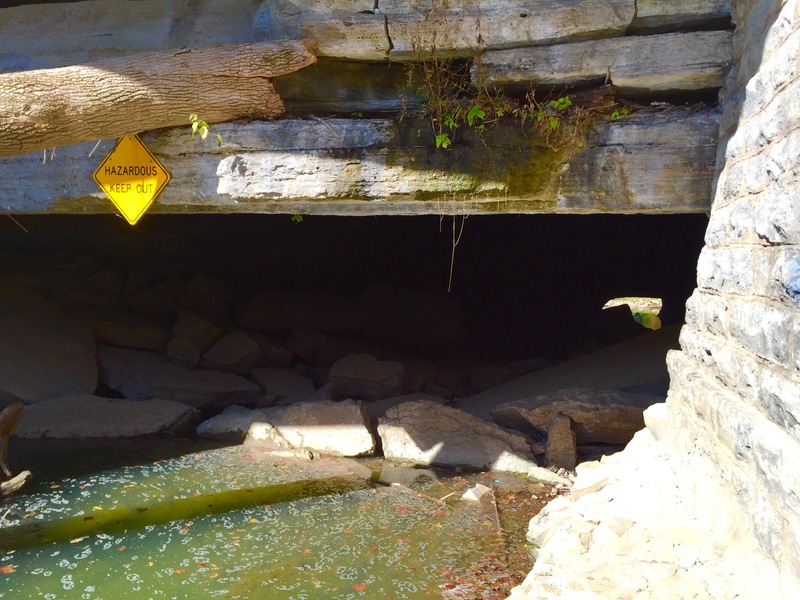 A 200 foot tunnel about 8 feet high and 15 feet wide was cut through the limestone bluff. Bell used the force of the falling water to operate his iron forge. The forge operated from 1832 until the late 1860’s. The forge no longer stands. 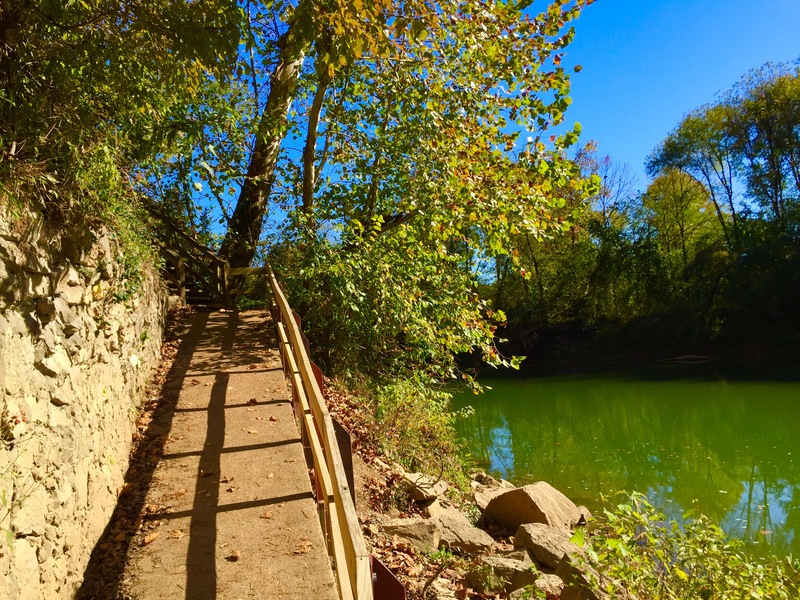 If you live anywhere near Nashville, this is a park that you should check out! Beautiful!! 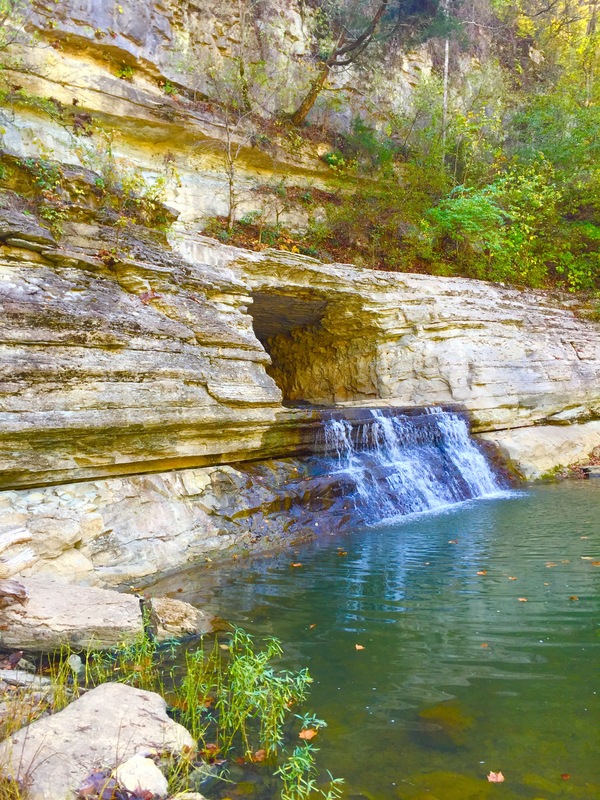 LOVED the landscape pictures & the waterfall. Thanks for the comment Nan! Nice hike especially going up the bluff!